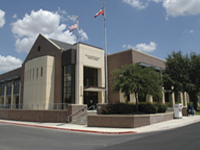 Round Rock, Texas has many experienced child support attorneys. If you find yourself involved in a divorce and you have children, you want and need the best possible representation. Just because your marriage is over doesn’t mean that financial responsibility is over. In fact, in many cases, it’s just begun. All too often one spouse finds that they are in need of money and another one finds that they are paying more than they feel they are able. Never allow poor court representation to cost children the life that they deserve during a divorce. Experienced divorce lawyer Leo E. Foust understands this and will do what it takes to ensure that his clients are represented fairly. In the state of Texas, both parents are required to support a child until that child attains the age of 18 or graduates from high school, dies, emancipates, marries, joins the military or obtains their GED. Also, support may be required if the child is over 18 and still in high school. The non-custodial parent will pay the support monies to the custodial parent to help offset the cost of the child’s living expenses and health insurance as well as medical and dental costs. Typically, this means that the state needs to review both parents salaries and finances. As of 2007, the state of Texas has set forth guidelines that show the “income shares” model of what should be anticipated. Salary, self-employment, commissions, bonuses as well as pension, interest income, trust, capital gains, overtime, severance, dividend, capital gains and more are all analyzed and the courts determine what should be paid to the custodial parent. This can also include winnings, prizes, lottery winnings and other sources. Everything is analyzed and adjusted to determine what should be paid and to whom. A “basic child support” amount is set and applied to each parent and then the courts will determine a proportionate amount of that as adjusted income. Then they determine the amount. All in all, the courts have about nine different steps that are taken to determine the amount. It’s easy to get lost and that’s why you need an experienced child custody lawyer in Round Rock, TX to help you as you wade through the complex legalities of child support. Our services ensure that you’re getting your fair share. We’ve worked hard to make sure that you have the best possible representation and that the courts have a good idea of what you need when they make their decision. There are many times that life circumstances change. You shouldn’t have to stick to a number if life changes. You’ll get changes in income and so will your ex. It may not be feasible to stay at the same dollar amount for child support. Texas laws allow for modification of such support and support attorneys can petition the courts to set up a modification of the schedule if it’s no longer fitting properly. Major changes call for changes to child support schedules. In-kind contributions by either parent. Travel expenses for visitation or shared physical custody. Clearly, there are many times that these obligations will change and that one spouse or another will have to modify the original support.